The catastrophic helicopter crash involving the medical flight crew of the Air Angels and the small child they sought to save shook the core of many of the emergency personnel that responded to the scene. Even the veteran officers commented that the horrific destruction that occurred just before midnight on October 15th might very well be the worst we have ever witnessed and it will likely be incomparable to anything else we will see again in our careers. As each detail unfolded and it was confirmed that the wreckage was in fact that of the Air Angels, many of us held our breath as we thought quietly about the Air Angels that we personally knew or the notion that those on board were public servants just like ourselves. Tragedies are always difficult for firemen, medics and police officers but there is a sobering effect when the victims are emergency personnel. A first responder’s sole mission is to save the lives of others and when the lives of those who serve are taken, we are left wondering why. When we received information that a one-year-old child was being treated on that flight and that her mother was unaware of the crash and driving to Children’s Memorial Hospital to be with her sick child, there were gasps from everyone on scene. 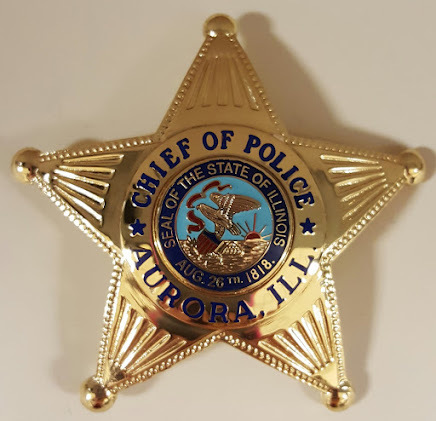 As we confirmed that there were no survivors, the silence among our brothers and sisters from Aurora Fire Department and our own Aurora Police Department family seemed louder than the noise of the emergency vehicles on the scene. It was with a heavy heart that we coordinated efforts to deliver the notifications to the family members of those who lost their lives. Unfortunately, this part of being a police officer never gets easier, especially when it involves the loss of a child. I went home that morning and held my kids tighter than usual. Every moment of my day was spent grieving for baby Kirsten whose life had barely just begun. Each of us on the scene that fateful night grieved for the parents whose lives had been forever altered. Despite the heaviness, each member of the fire department and the police department recognized that there was a job to do and each carried out their missions with precision. A tragic event of such magnitude requires that each agency be in tandem - - constantly communicating with each other. Each agency communicated clearly and delegated tasks to those responding to the scene. When an emergency situation transpires, there are no small jobs. Officers who tape up the scene and block off streets in order to contain the area contribute as much as those who are on the front line. After determining that there were no survivors, the instincts of emergency personnel supersede emotions and a purpose becomes clear - to preserve the evidence from the crash so that we can later determine why it occurred. In these unforeseen tragedies, sometimes the only solace is being able to understand why it happened so that we can prevent it from happening again. The debris left behind from the helicopter has been cleared and the site of destruction has evolved into a peaceful memorial. The four crosses that stand serve as reminders that there were heroes on that mission. We take solace in knowing that the Air Angels flight crew has saved countless lives in their years of service. When an Air Angel puts on their flight suit; when a firefighter dons their protective gear and when a police officer snaps on their gun belt, they understand that there are no promises of going home at the end of their tour of duty. Yet with service being the primary calling to their chosen profession, they willingly accept that risk every day. The day after the crash, a medical helicopter flew overhead while traveling to Good Samaritan Hospital carrying a patient from an accident. I looked up and smiled. Their jobs go on. I looked past the helicopter and knew that three angels and a little cherub were smiling too.